Most people head to San Diego for the weather. And who can blame them? It’s pretty much perfect all year round. Plenty of people flock there to escape the cold winters and even the too hot summers to spend their time lounging by the beach. 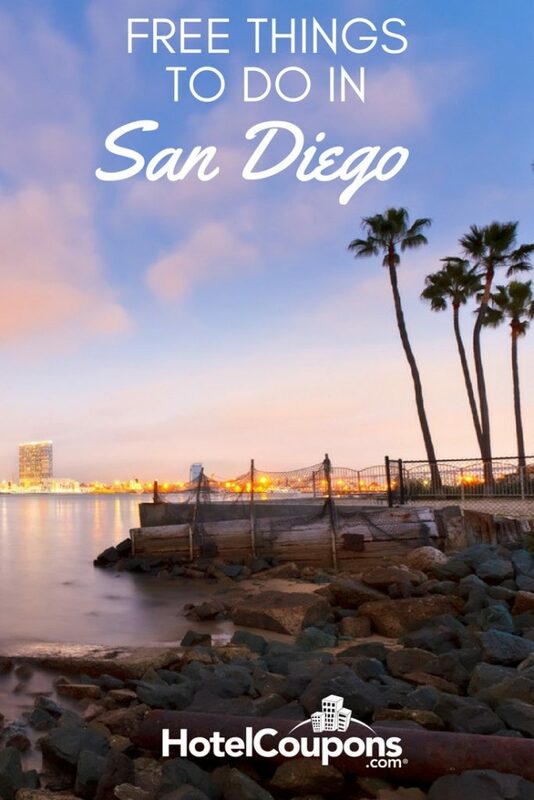 And while San Deigo is a top destination, it’s also very budget friendly. There are a ton of free things to do in San Diego that are lots of fun and won’t bust your wallet. Sounds like the perfect combination, right? 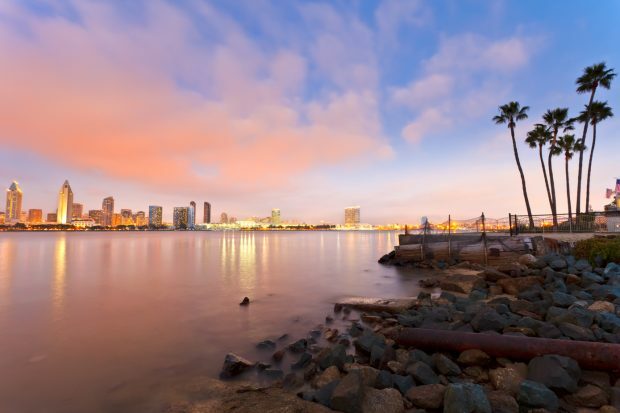 In this post, we’ll highlight some of our favorite free things to do in San Diego. These cover everything from sandy beaches to arts and culture, so no one is going to miss out. While resting on the beach is always a good idea, sometimes you want to get in a great workout. You can do that at Torrey Pines State Beach and Park. It overlooks the ocean and has miles of hiking and jogging trails. San Diegoans love to brag that Old Town is where California was born. They stay true to their history by keeping a section of the city preserved from the 1800s. You can wander and take in some free tours during your visit. If you’re in San Diego in October, November, or December, you’ll be able to catch free movies at The Pearl. This ‘cinema social’ event lets visitors see a favorite movie and maybe make a few new friends. The Children’s Pool was first designated in the 1930s as a place for kids to swim safely. 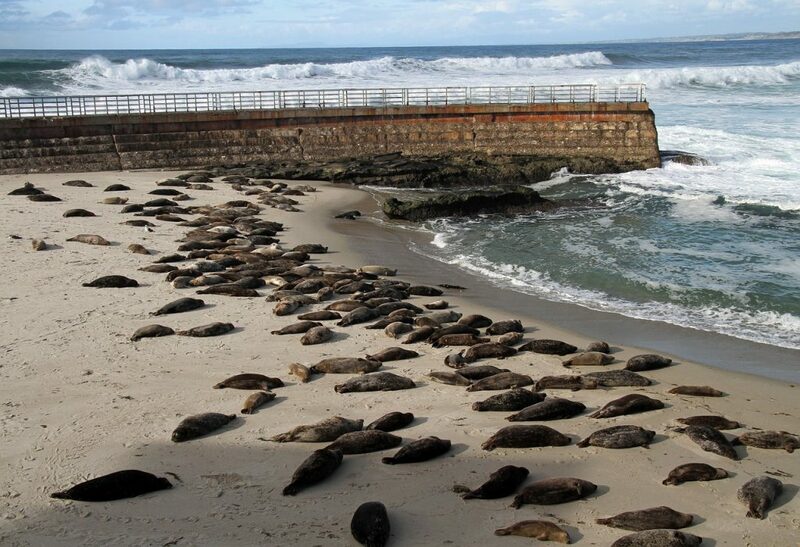 Now it is one of the best places to get up close and personal with harbor seals in Southern California. The Timken Museum of Art is located right in San Diego’s famous Balboa Park. It’s free admission year round brings in visitors from all over the country to see their impressive collections. 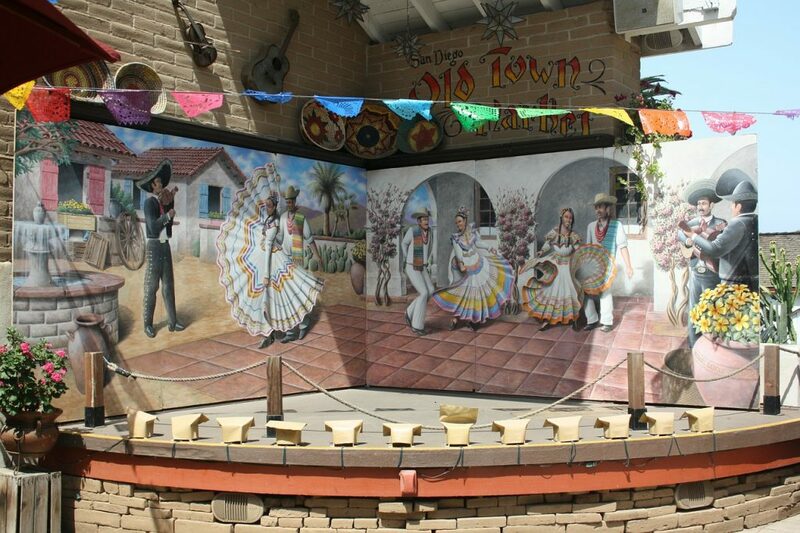 Every Thursday night from June 1st to August 31st you can enjoy the La Mesa Classic Car Show. This free event is a must-see event for car lovers, especially those who love vintage and classic cars. Sometimes the very best way to check out a city is to drive through it and check out the sites. Thankfully, San Diego has a 59 Mile Scenic Drive that you can take which will loop you through over 20 destinations. You can’t go to San Diego and not spend at least some time at the beach. 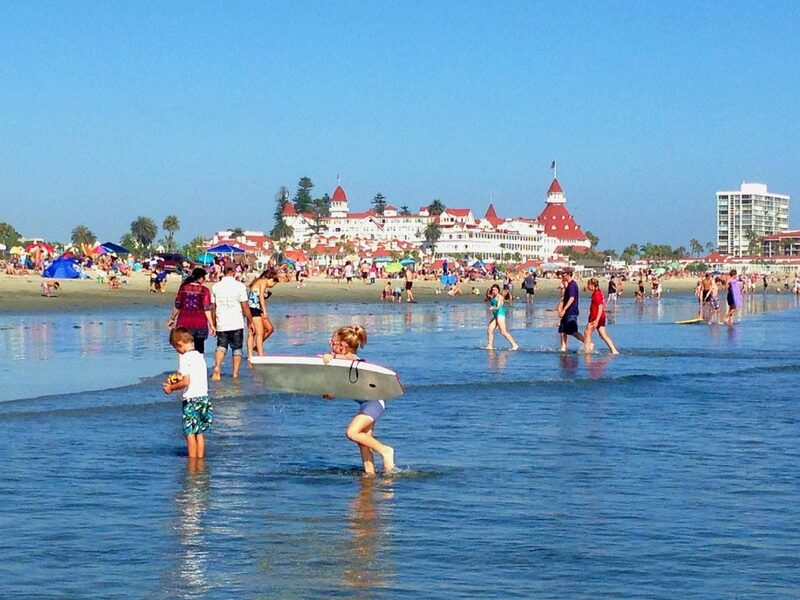 There are plenty of options but hands down, Coronado Beach is your best bet. It’s often cited as one of the top beaches in America! A library? You’ve got that right. The central branch of the San Diego Public Library has all sorts of incredible free events happening year round. From yoga classes to open mic and classical music nights, they’ve got you covered. Don’t forget that San Diego is a port city. That means it’s traditionally been home to everything from cruise ships to naval destroyers. You can get a look at all sorts of ships as well as the Seaport Village along this area. There you have it! 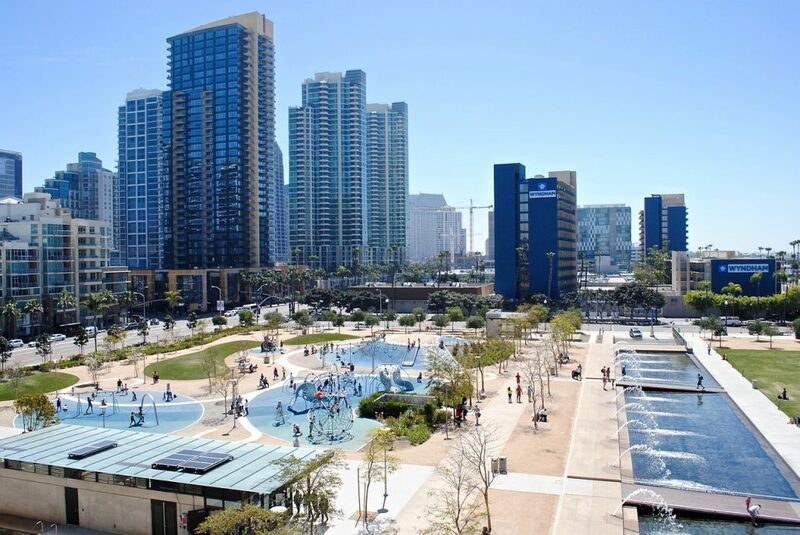 All sorts of free things to do in San Diego! Explore the Everglades with an Exciting Airboat Adventure!